If you’re starting or expanding a small business in 2019, it’s crucial to be able to accept payments from anyone, in any form, while keeping track of the data. For many people, that means getting a cash register – but in the modern age, this isn’t necessarily the cost-effective answer. 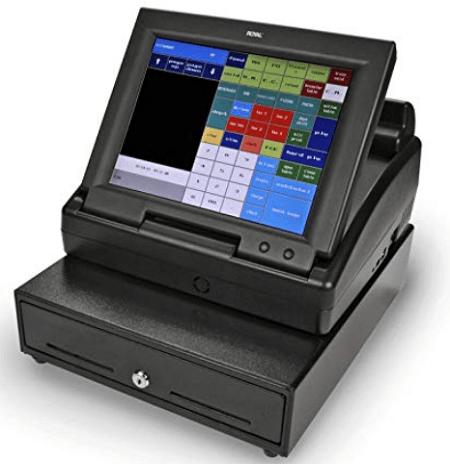 The POS, or “Point of Sale” system, is a combination of software and hardware that can do the things a cash register does – accept cash, check or charge; track inventory sold; and deliver receipts – while also handling every other major task a small business faces, from scheduling staff to analyzing data to collecting marketing campaigns. The traditional cash register is largely being replaced by POS tills, particularly among smaller businesses. Indeed, many of these businesses are finding that they only need a single iPad, the right POS software, and a receipt printer to handle all their operating tasks. In other words, if you’re a store employee, a cash register will meet all your on-the-job needs. If you’re a small business owner or manager, the right POS system will help to meet all your wider business needs… while also doing everything a cash register can, and storing all that information on an easy-to-use software dashboard. Still not convinced which one you really want? 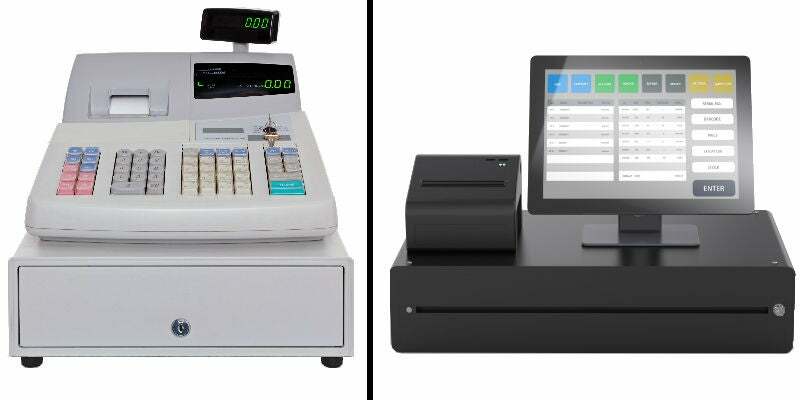 This page will explore everything you need to know about both the top cash registers for small business and the top small business POS systems. A simple cash register does two things: Accept payments, and record which items you’ve sold. This allows you to work out how much inventory you have left at the end of the day. A POS system is a comprehensive small business solution, handling employee management, loyalty programs, and marketing in addition to sales and inventory. Better still, it allows you to search through years’ worth of data. That doesn’t mean an electronic cash register is worthless: Instead, it works best on a daily basis. If you run a weekly farmer’s market booth and aren’t averse to paperwork, a register can be a simple way to track your weekly sales and store your revenue. Here, we’ve rounded up a selection of the best cash registers available today for small businesses. We listed their pros, cons and typical starting prices alongside the most important features offered by each, so you can see if they’re right for you. 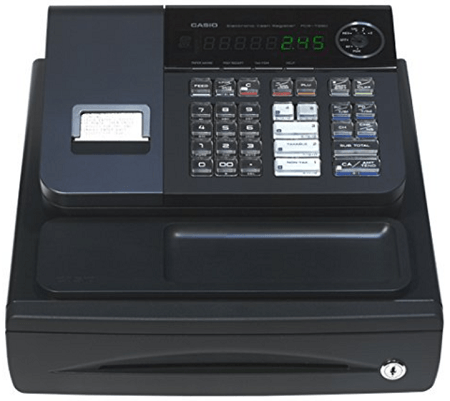 The Casio PCR-T280 electronic cash register is easy to use, and offers basic sales features. At just 11 pounds, it’s a portable option for any shop owner who needs to travel to a street fair or hop in a food truck. Receipts can be customized to automatically include your business name at the top, and the device can be programmed to include your state’s sales tax in the bill. The device doesn’t come with a customer support guarantee, and some users have reported difficulty programming in the tax correctly simply by working off of the instruction manual. 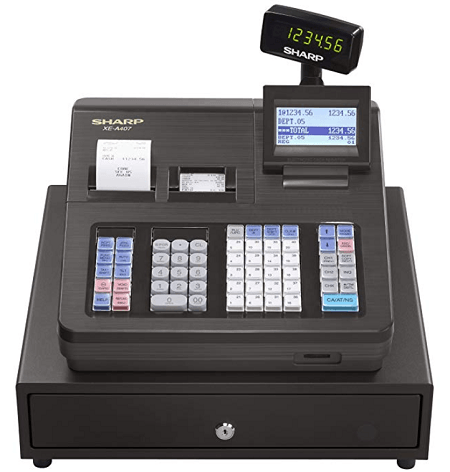 However, this register offers all the features a cash register needs, and is one of the most popular registers available for under $100. Another Casio register, the SE-C3500, is a little lighter and a little less expensive. However, it still includes a drawer that holds four rows of bills, and can print receipts customized with up to five lines at the top – allowing businesses to add their name, contact information, and a ‘thanks for shopping’ note. This register suffers from the same drawbacks as the other Casio on our list, in that it has limited support and is confusing to program. That said, it’s still a quality hardware item: It offers basic sales functionality, is well-built but lightweight, and comes with an attractive price tag. Once you learn the ropes, you should find the process of using this register incredibly simple. Like most classics, it’s not going out of style. 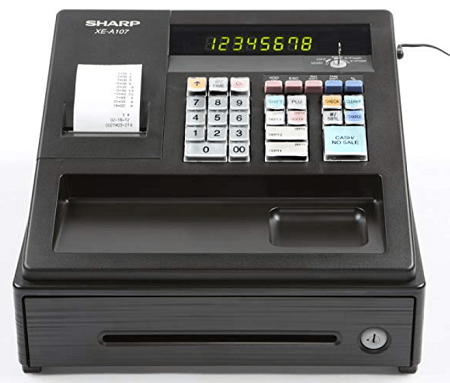 The Sharp XE-A107 register comes with four bill and five coin holders, a built-in printer, and a large-character LED display big enough for cashiers to easily track what they’re typing in. Once again, its main features are the basics of retail sales: It logs inventory sold, and prints receipts (which can’t be customized). The cash register uses 2 AA batteries – not to operate, but to retain its data history in case it’s ever accidentally unplugged. It’s a handy feature that keeps everything running smoothly. However, Sharp’s customer service has left many customers cold, so don’t count on it. You probably won’t need it, though: This is another relatively inexpensive hardware solution that only does the basics, but does them well. While Sharp’s A107 is a bare-bones register, the A407 is more advanced. 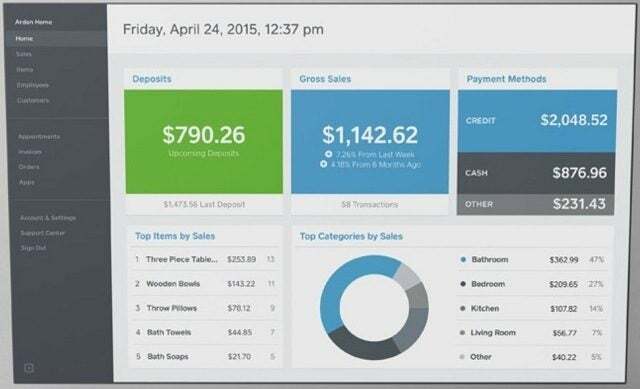 This model includes SD card connectivity and comes with a Quickbooks integration for better accounting, making it one of the more digital-savvy options on the market (that isn’t a POS-connected register). All those advanced features come at a cost: $290, to be exact. The register includes five bill and six coin compartments, and at a hefty 28 lbs, you won’t be carrying it around very easily. Customer support is limited once again, and you may need to rely on trial and error to figure out how to program it, as the instruction manual is reportedly a little shoddy. 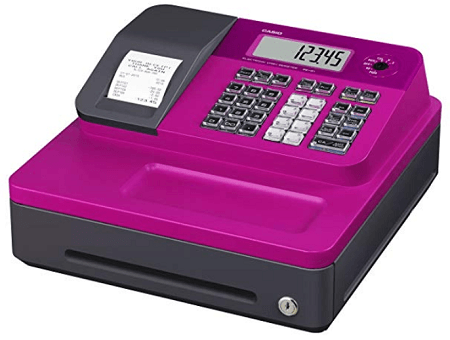 This Royal cash register comes with a 12-inch full-color LCD touchscreen front and center, making it easy to use for a screen-friendly cashier. It can automatically apply up to four different tax rates, and includes an internal battery that ensures data won’t be lost during a power outage. Sadly, this model comes with one big downside: Although its exact price varies depending on the retailers selling it, it’ll cost you somewhere in the range of $700, a price tag that might be a stretch for the small businesses that would be happiest with this model. However, the handy touchscreen is useful in part because its so reminiscent of a typical POS system interface, all of which come at much lower price points. If you’re interested in avoiding that wallet-lightening price while gaining the benefits, keep reading. As we’ve mentioned, anyone running an entire business may be better off choosing a POS system instead of a simple cash register. The best POS systems offer everything you get with a cash register, plus additional functionality to address all of a business manager’s daily needs. The big difference comes down to one word: Centralization. Cash registers work best on a daily basis – if you want to know how well your year-to-date sales have been, or take a glance at your year-over-year net revenue growth in the month of April, get ready for hours of combing through your files. Some cash registers can scan barcodes or use SD cards to let you transfer data to another machine, but almost no traditional cash register can easily store or share digital information. A POS system tracks all that data, backs it up to the cloud to keep it safe, and lets you search through years of data in seconds. It’ll even auto-generate pie charts or graphs to help you understand it better. It’s this centralization that helps small businesses make smarter decisions. Here’s a table that compares cash registers against POS systems, to offer a snapshot of why a POS offers a more complete solution for small businesses. While a simple electric cash register can track sales and inventory, these POS solutions can also help managers to schedule their employees weeks in advance, track deals and discounts, and plan customer marketing campaigns. They can also help users analyze data, which can eventually lead to money-saving decisions while cutting down on digital paperwork. Some of the POS solutions in the list below are best for specific businesses, such as restaurants and retail stores, though many sell software for either type of industry. However, they all offer a complete, fully integrated solution for everything a small business needs to operate smoothly day after day. Built from the ground up for restaurants alone, the TouchBistro POS is priced fairly and unmatched for features, support, and ease of use – making it our top POS option for restaurant use. It’s a particularly good pick for a restaurant that needs iPad-powered tableside service, though it also works great for fast-serve, coffee shops and bars, among others. Phone and email support is 24/7, with user guides and video tutorials available free online for all. Price plans start at $69/month for one terminal, and include a two-terminal $129/month plan and a five-terminal $249/month plan as well. A 28-day free trial is also offered. Square is another big brand name known for its flexible pricing options, as well as its particularly good retail-oriented POS system. It offers a free iPad plan that covers the basics, though it charges a percentage of each transaction. 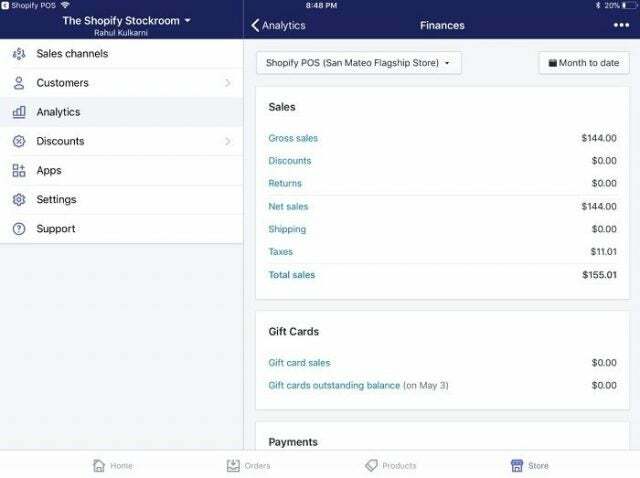 For larger businesses, Square also sells hardware (including a stand and card reader), as well as a feature-rich software service that handles sales, manages inventory, tracks customer accounts, and emails receipts. Square’s email support is 24/7, with 12/7 phone support. While a free plan with limited features is available, paid plans that offer the functionality most small retail businesses need start at $60 per month, and also includes a 2.6% + 10¢ charge for each transaction. Square’s range of hardware devices is also priced fairly, and offers sleek, integrated solutions when paired with the software service. Lightspeed’s hardware range includes cash drawers, scanners, receipt printers, and iPad stands – all of which integrate smoothly with the software it operates, even across iPad and desktop. 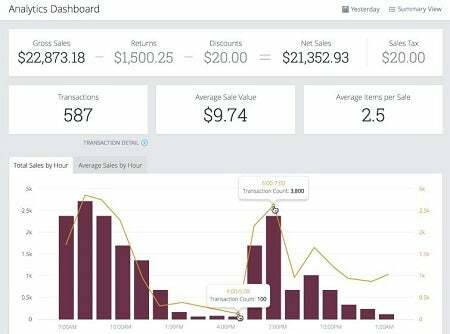 If you need an old-school cash register, but also want a full-stack small business solution, Lightspeed is a good pick. 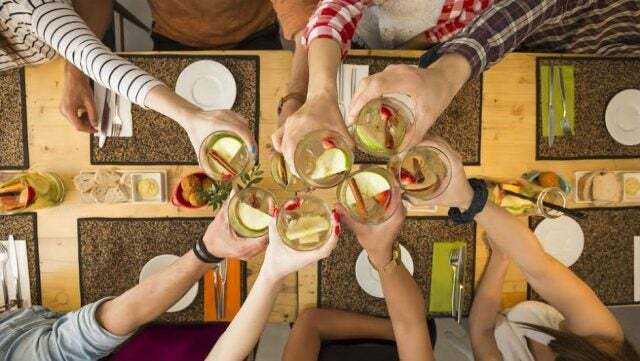 Another top POS, Lightspeed offers strong retail and restaurant-specific services, both of which stand out due to an expansive library of third-party integrations. Managers can access their profiles and features from any partnered device, giving them more granular access to services while staying within the Lightspeed interface. The $99/month pricing of the most popular Lightspeed plan is a little above average for the POS industry, but reasonable given that it covers up to five employee accounts on one register, along with most features, basic analytics, and 24/7 support. Shopify is several steps up from a cash register. 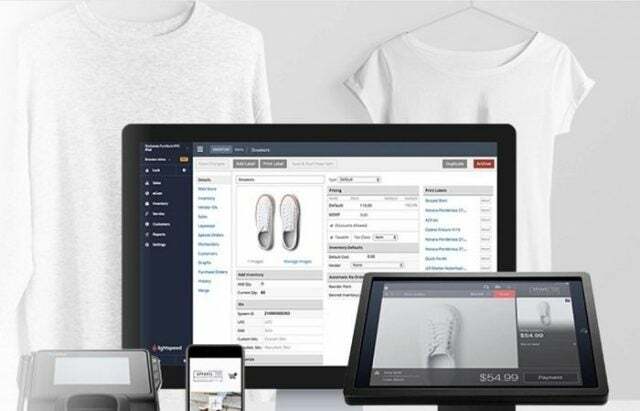 Not only is it a complete POS solution, but it comes with an online store component that allows an ecommerce store to sell the same products in a physical store as it does online, keeping track of the same customers across all devices and locations. Email, phone, and live chat support is available 24/7, making Shopify an attractive choice for retail newbies, while a community forum, online guides, and help center are also available for those who prefer online reading. One pricing detail worth noting: Although the plans start at $29/month, serious operators will likely prefer the $79/month plan, which offers advanced analytics. Like all the POS systems on this list, Shopkeep not only acts as a cash register, but covers the basics that any small business needs to keep track of – all while centralizing everything in a software interface. Workers can clock in and out and track sales and inventory, while managers can schedule workers and stay on top of restocking. 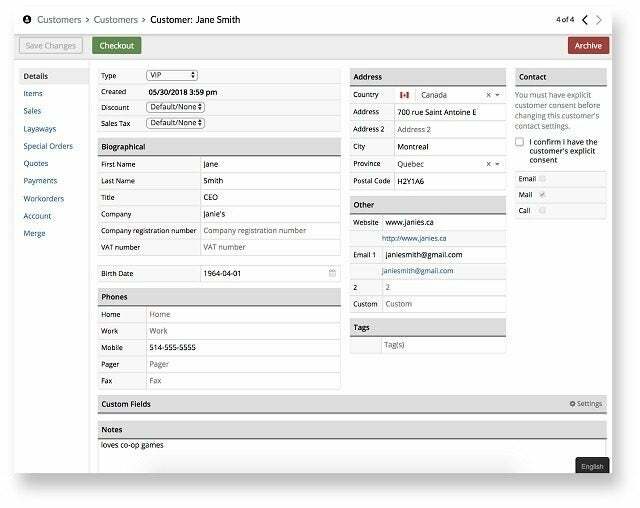 Users can also track sales analytics, including details like net sales revenue, average sale value, and average items sold per transaction. Shopkeep sells both retail and restaurant-specific software solutions. 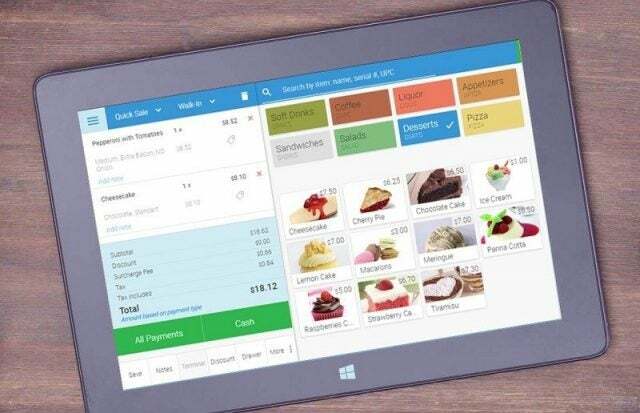 This POS is an attractive pick for small retail businesses that are comfortable managing their operation from an iPad, with 24/7 support and a broad range of features. Useful customer marketing features are a stand-out, with options for customer loyalty or gift card integrations. If a cash register sounds like a clunky solution for a digital-age business, Shopkeep can let you do everything – from selling to staff management to marketing – all from a phone or tablet. POS systems tend to be more popular today among store owners than traditional cash registers, thanks to a combination of portability, additional features, digital ability, and cost-effectiveness. However, cash registers remain an important element for stores big and small. Between our picks above for the five best cash registers and our top five POS alternatives, there should be an option for everyone. If you’re interested in comparing POS systems today, simply click the green button below. A restaurant-specific POS comes with plenty of unique features: It let servers place orders and communicate with the kitchen, tracks the stock of individual ingredients, handles customer reservations, and more. Our guide to the best POS systems for the food service industry. If you’re new to the world of POS software, this guide can explain how free POS software works, whether you should opt for one, and which free POS systems are the best options available today. A POS system is not only an essential part of running any successful store in today’s world, but it’s almost the only system business owners need. Here are the top retail POS providers out there. Small businesses don't need a lot of hardware. With the right POS iPad app, a single iPad does it all – the register isn’t needed, as all the transactions will be automatically recorded. There's nothing worse than not understanding a new tool at your business. Fortunately, we've got you covered, as we explain how to set up a conference all, where you can find the highest quality services, and what some best practices are for your first meeting. We compare the leading website builders on price, value for money, feature sets and more to find the best cheap website builder of 2019. The biggest name in the CRM world is Salesforce – it's about as close to a household name as a piece of specialized online business software can get. 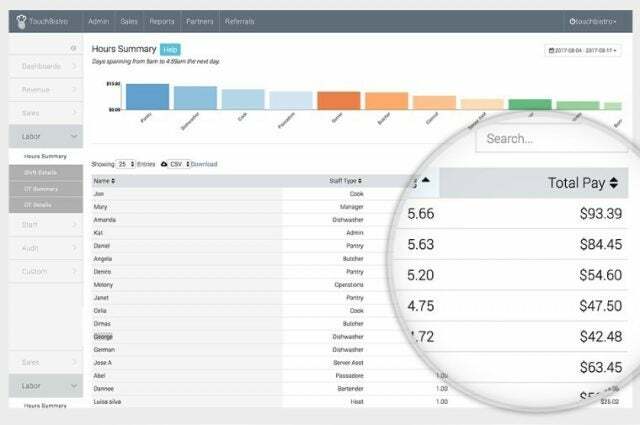 Still, Salesforce isn't the only game in town, and there are plenty of competitive CRM software alternatives worth considering.